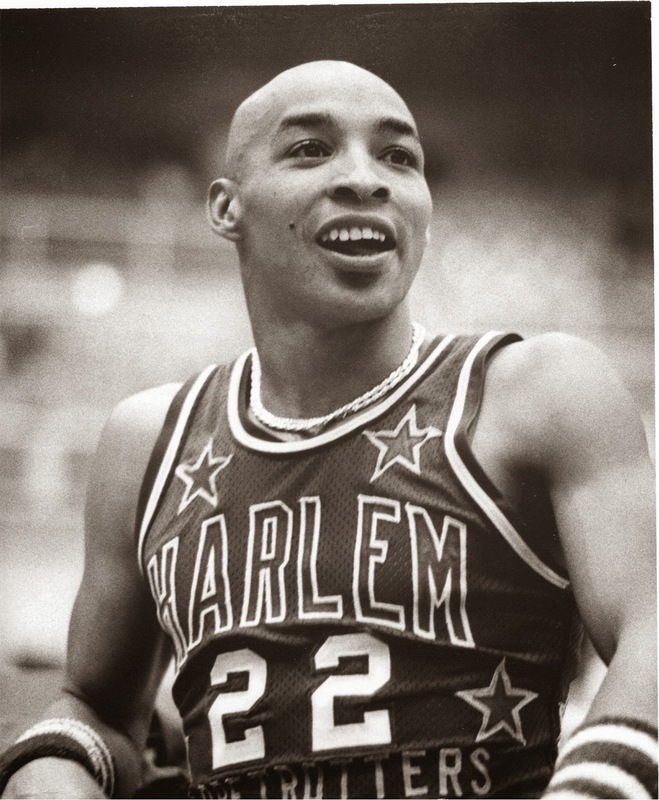 The Harlem Crowns came to town recently and it reminded me of the granddaddy of all those comic basketball teams – the Harlem Globe Trotters. Back in the 1980s the only basketball we saw on the rural cable network, or peasant vision, was the periodic appearances made by the clown princes of basketball, the Harlem Globe Trotters. Whenever they were on, it was part of CTV’s “Wide World of Sports”. They always made me laugh with the antics of Geese Ausbie, Curly Neale, Sweet Lou Dunbar, and Meadowlark Lemon. No one could dribble like Curly Neal, and no one could hide the ball quite like Geese Ausbie. I always wanted to see them, and I would get my chance when I was in junior high. They were coming to the Sportsplex in Lethbridge. I had always been interested in the Globe Trotters. In junior high I had read a history of the team and their founder Abe Saperstein. Basketball was still in its infancy and teams still played in venues such as ballrooms. What was interesting was how the Caucasian, Jewish Saperstein was able to relate to his players, who were virtually all African-American. He told them he faced discrimination too, just a different kind. No one could dribble a basketball like Curly Neal. It was a really cool history. A lot of interesting people spent time with the Globe Trotters, such as Wilt Chamberlain, who went on to become one of the best NBA players of all time, and Bob Lemon, who went on to be a dominating fireball pitcher with the St. Louis Cardinals. My sister got the tickets and I was so excited. I was talking about it at school one day, and one of my classmates, named Roger Keeling, said he was going too. The night came and it was a good time, but not at all what I expected. They were not the team I had seen several times on the Wide World of Sports. 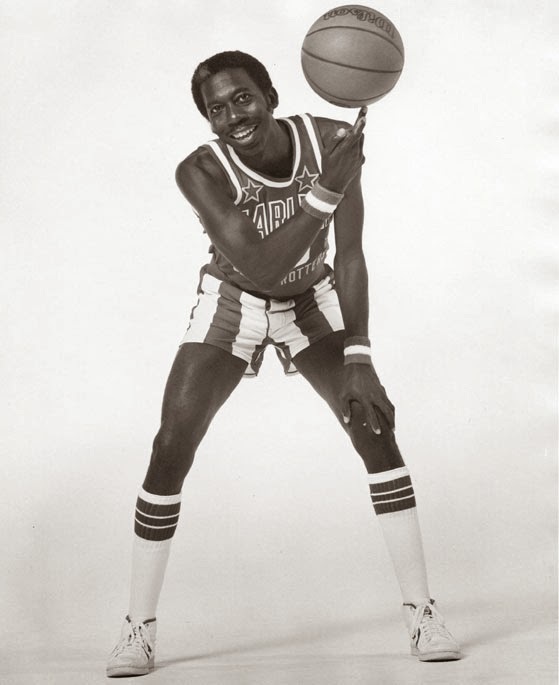 No Geese Ausbie, no Curly Neale, and no Meadowlark Lemon, although that was because by then he had left to form his own group, “The Bucketeers”. 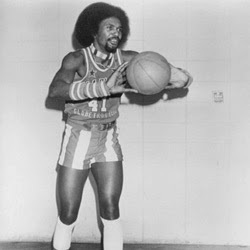 That’s when I discovered they were a regional team, and the Globe Trotters had several teams who made their way across Canada and the U.S.
No one had hair like Sweet Lou Dunbar. Still, they performed their classic tricks: referees got made fun of; shorts got pulled down; a bucket of confetti got thrown; and they played their own versions of football and baseball. I had seen it all before on TV, but with bigger names. Nevertheless, it was still a good show. At halftime I looked down and happened to see Roger. I went over and we ended up walking the Sportsplex from one end to the other, actually touching the wall at each end, before returning to our respective seats for the second half. When I saw the Harlem Crowns play, it brought back memories of the Globe Trotters, who really were the pioneers of that kind of basketball. They really had their hey day when I was growing up, and have kind of been lost among all the other entertainment options now available. However, they are legendary, and cultural icons. More than anything else, they loved the game of basketball. At that time, they did more to promote the game than even the NBA, who really was just getting its act together. For all that, and the fact they still put on a good show, I'm glad I saw them.